Welcome to our shop - "Braz". 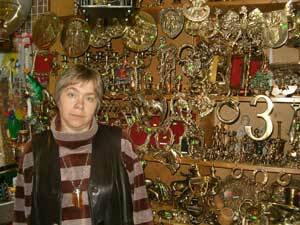 For 20 years we have been offering to our clients pieces of furnishings made of Polish brass. Original design and style of these items makes them presenting themselves very well in rooms decorated in not only retro but also in modern style. The catalogue of our products is exceptionally wide-ranging and it is constantly being updated and widened. figurines, ashtrays, key hooks, desk sets, etc.